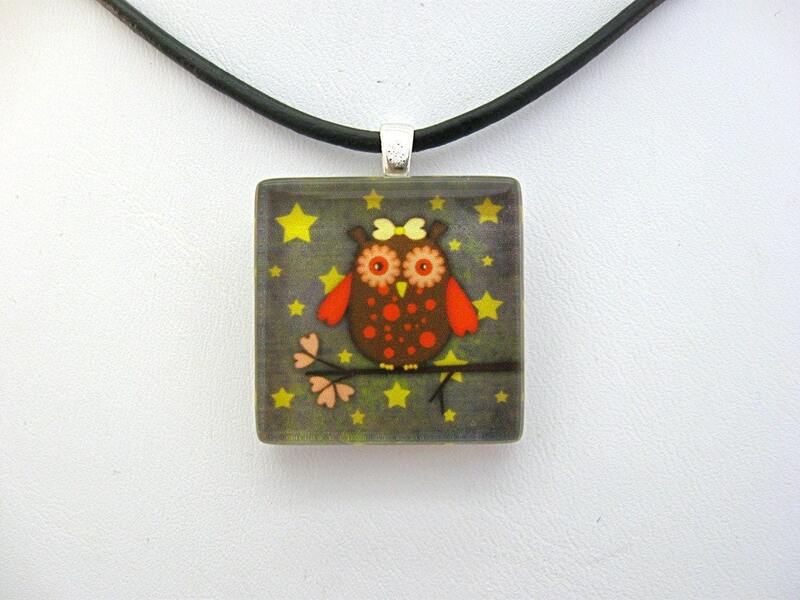 Cute orange spotted owl in a tree with a yellow bow 1 inch glass tile pendant. Sealed with glaze on back and silver plated bail. Design by artist Roguerosalie and only shop with this. Comes in a organza bag.